Welcome to the 2015 Golf Preview, where I’ll take a look at selected golfers and examine what to expect over the next twelve months. Today, we look at Bubba Watson. 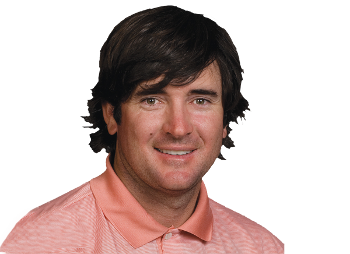 Two-time Masters champion Bubba Watson is known these days as one of the best players in the world, but it was a long journey to the top of the game for the Bagdad, Florida native. Watson turned pro in 2003 and while his prodigious power was on display from the start, it took him seven years to get his first win, defeating Scott Verplank and Corey Pavin in a playoff at the 2010 Travelers Championship. Later that year, he found himself in a playoff against Martin Kaymer at the 2010 PGA Championship, but after being even through the first two holes, Watson ended up short in the hazard on the par-4 18th, allowing Kaymer to lay up and secure his first major win. To give you an idea of how ridiculous the recovery was, take a look at the below image, courtesy of the Daily Mail. After the win though, Watson struggled and didn’t get another win until almost two years later at the Northern Trust, but he followed that up with another Masters title, winning a Sunday battle with Jordan Spieth that quickly turned in his favour on the back nine. He also won the last big tournament of the year in China, taking the WGC-HSBC Champions for his most successful year as a professional. At most, this photo is probably five years old, but really, Watson looks exactly the same. Nothing to see here. At his best, Bubba Watson is a guy who drives the ball further than anyone in golf and has a lights out short game. You know how everyone marvelled so much at John Daly’s length in the 90’s that it completely overshadowed the soft touch he had around the greens? It’s the exact same way with Watson, and I’m not sure how he does it with the stabbing motion he uses on the downswing, but it really does work for him. Also, as you saw above, there’s no shot that he thinks is outside of his ability and to be honest, with the way he shapes the ball in both directions, he’s completely right. If you’re watching strictly from a performance standpoint, Bubba Watson is a lot of fun. Rory-esque club twirl from Bubba to start his day. He has Monty level ears. He constantly complains about course conditions. His caddie Ted Scott is always under fire, which has led to the #PrayForTedScott movement on Twitter. To be honest, this list could be longer, but I’ll stop it there. The point is that there really is two sides to Bubba Watson and you honestly never know which one you’re going to get, which makes things fun, I think. 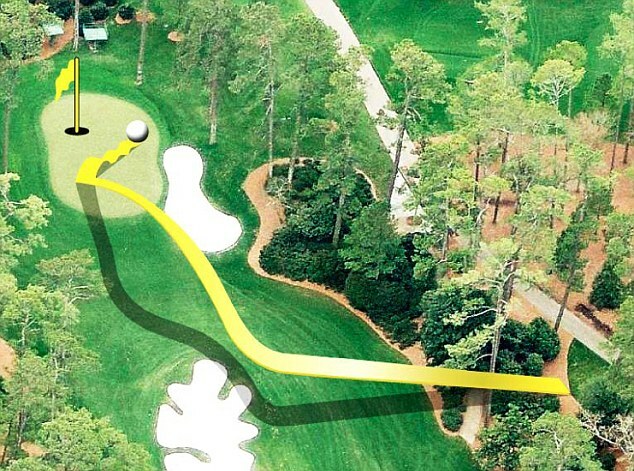 Bubba’s ridiculous drive on the 13th at Augusta. Trying to condense Bubba into one GIF, Vine, tweet, etc. would be impossible, but nothing personifies how dynamic he can be better than the drive he hit on the 13th hole at Augusta on Sunday in 2014. I’ve never seen anyone hit the ball down into that area in one shot before, and even though he only had a two shot lead at that point, it honestly felt like it was over after he hit that drive. Was 2014 a sign of things to come? When I did my preview of Charl Schwartzel, I talked about how a player with his talent should win more often, and coming into 2014, that definitely seemed to be the case with Bubba as well. Then he went out and won at Riviera, a place that I never thought I’d see him win at, and he won again at Augusta. There’s no reason to think that he can’t win a lot more with his tools, but there was definitely a level of inconsistency in previous years that was troubling, and maybe he figured something out last year that changed all of it. Or maybe it was the #yearofrejoicing. Regardless, I’m sure that Bubba Watson is going to keep making things interesting for all of us in some way, and as always, please remember to #PrayForTedScott.